Small business owners are typically ‘too close’ to their own business and miss highly profitable growth opportunities. The right coach has a proven track record of success and will not only save you time and money from avoiding costly mistakes – they will greatly accelerate your growth. Many entrepreneurs suffer from Shiny Object Syndrome – constantly getting off course chasing the next ‘big thing’ and the right coach will keep you on task and on track to creating a more profitable business faster. Look at 99% of highly successful entrepreneurs and small business owners and you’ll find they have two things in common: they work with a coach and are part of a mastermind group. "I've been masterminding for nearly 20 years now and used this concept to propel myself to massive success and making millions of dollars. This past year I had the privilege to mastermind with Jim Palmer; if you ever have an opportunity to do the same - don't hesitate. Jim has the ability to quickly zero in on the real issue and deliver ideas that are on point, specific, and immediately usable! Most importantly, Jim has one skill and one quality that are very scarce today. He really listens - like few people can! And he genuinely cares, wants to make a difference and does whatever he can to support others!" "When you are ready to take your business to the next level you need a good coach in your corner -- not someone who tells you want you want to hear, but who challenges you to be more than you think you can be. That's Jim. Having masterminded with him for years I can tell you that joining his mastermind will be one of the best investments you'll ever make!" "In just 15 minutes on the telephone, Jim came up with an idea that I applied, and the results were spectacular. He's both a great idea man, and an implementer!" Bob Burg | Coauthor Of "The Go-Giver"
"I joined Jim Palmer's Dream Business Coaching and Mastermind last year to take my business to the next level, and that is exactly what happened! The talent, experience, knowledge, and success in this group has far exceeded any expectations that I had. Jim’s coaching is invaluable and focuses on strategy, implementation, and follow through. Jim’s “Stop Waiting” approach is key in pushing me to get things done this year." “Dream Business” Coaching and Mastermind Group Unique? The Dream Business Private Facebook group is often a ‘port in the storm’ for busy entrepreneurs building their Dream Businesses. Members regularly interact, post questions, success stories, and get feedback, motivation and moral support from each other. Mastermind Program Right for You? If you’re at the point in your business where you have decided that slow to no growth is no longer an acceptable option. If you’re ready to be part of an elite group of forward thinking and action oriented entreprenures and small business owners. If you answered yes to any of the above questions, then review the three Dream Business Coaching Options and decide how fast and how far you want to grow, and apply today! Jim is a skilled marketer and have decades of experience marketing and growing entrepreneurial companies. 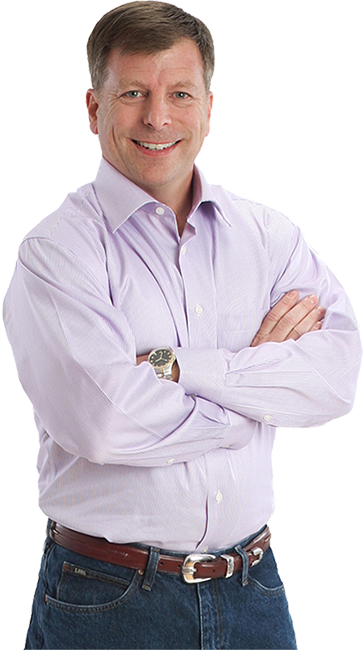 Jim worked with, coach, been coached by, and mastermind with some of the sharpest entrepreneurial minds in business. Time is precious, and Jim’s coaching members appreciate his candid, no nonsense and straight forward coaching style and his ability to be supportive and provide some ‘tough love’ when needed! What kind of a business can Jim help you create? HOW FAST AND HOW FAR DO YOU WANT TO GROW YOUR BUSINESS? Twelve 10 minute 911 "Emergency Coaching Calls"
Free printing and postage ($640!) with Jim's Concierge Print and Mail Program! Create an EBook with Jim! I will help you create your "Million Dollar Platform!" If you’ve decided then I encourage you to click here to get started. Apply today to be considered to be a member of Jim Palmers Coaching and Mastermind program.